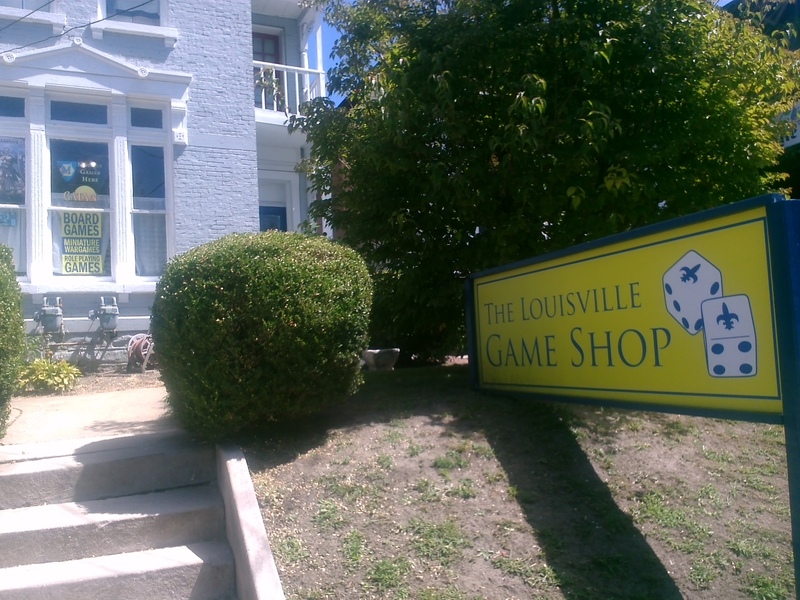 The Louisville Game Shop specializes in bringing customers the experiences unique to tabletop games. The Shop carries a vast selection of board games perfect for family nights and parties, as well as Louisville’s most exhaustive collection of miniature war games and their accessories, and an entire room full of role-playing games. The Shop is located in the middle of the Baxter Avenue corridor, the cultural center of Louisville, KY. The Louisville Game shop has an open playing area, with many game tables, which is available for the use of any interested customer, and in which a variety of exciting gaming events are hosted throughout the week. The Louisville Game Shop exists not simply to supply Louisville’s tabletop gamers with all their gaming needs, but to provide a hub for the Louisville tabletop gaming community. The Louisville Game Shop has hundreds of the latest and most entertaining board games available. The board game selection ranges from party games to in-depth strategy games and everything in between. The Shop has a full selection of the popular and challenging European games such as Settlers of Catan or Carcassonne, as well as other tactical and strategy games, puzzles, card games and party games, perfect for spirited gatherings of both kids and adults. Miniature games are a specialty of The Louisville Game Shop. The Shop carries Warhammer 40,000, Warmachine, and Hordes. Additionally, the Shop carries many newer and less-well known miniature games in order to provide a diverse selection. The playing area has an extensive collection of high quality, beautifully detailed miniature terrain for customer’s use in casual pick-up games, as well as tournaments. The Louisville Game Shop has a wide selection of imaginative role-playing games, including old favorites such as Dungeons and Dragons, as well as smaller press and hard-to-find role-playing games. Even long time role-playing enthusiasts can find a new game to try, and interested beginners will find everything they need.